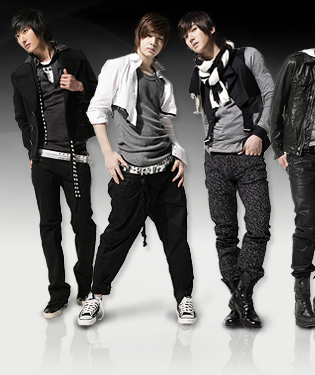 Let Super Junior RAWR! you .. COMEBACK-PERF! Now where did all that manliness come from? Did they have it stored in a closet that only Siwon used to have access to? Well it now looks like Siwonnie deciced to share his key (not to Heechul) because the RAWR! was everywhere! We do however hope that the RAWR! 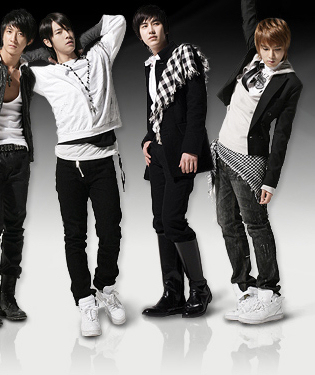 hasn’t broken up our beloved Eunhae-couple, they better still be push it push it pushing it up! We don’t have much more to say than that we likey’d. We’ve been RAWR!’d. Check out their comeback HERE. We just want to spread the Super Junior sunshine! – iRapeHellokitty n’ xNoodles. We all knew Heechul was girly, but kissing boys now as well? I never thought that Heechul would go that far to please the fans. But you gotta do, what you gotta do I guess. Heechul while performing ‘Crazy’ kissed Jungmo from The Trax .. On the lips. The kiss wasn’t that much of a kiss really, but I can still imagine the jealousy fans are feeling right now. And no worries, even if Heechul is a bit girly I’m positive that he isn’t gay. So all you fans can continue dreaming on marrying him in the future. Has it already been 3 years of the Super Junior-Love? 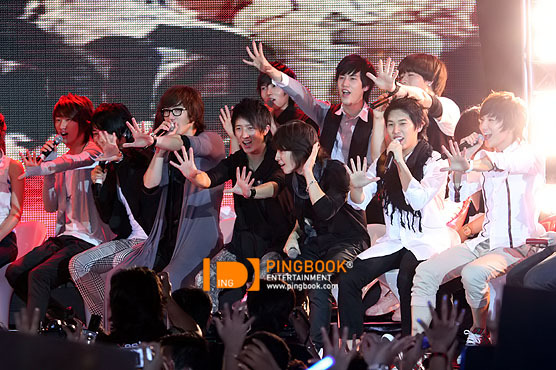 Happy 3rd Anniversary Super Junior, is all I can say! Time passes fast for us loving fans who has been there for them since day one! .. Even if I myself started liking them last year. Well, let’s hope for a bright future to the boys and lots of more album and shows from them. You go boys .. Give yourselves a hug, because you earned it! Super Junior M and Me! You were jealous there for a while when you read the headline, weren’t you? Probably not it’s just me and my bad humor, scratch that out. Anyways, Super Junior M has finally come back from there hiding spot somewhere in China. Seriously, I haven’t heard news from them since like may this year. Oh well, they’re back now with a MV for their song ‘Me’, even if it was quite some time since the song was released I’m still happy to see something from them and a MV was right on!